The Marseille sofa by BoConcept is a welcoming sofa with a generous seating depth and surprising details. It mixes sweeping curves with precision sharp lines, and features delicately wrinkled upholstery, giving the design a soft feel and visual comfort. 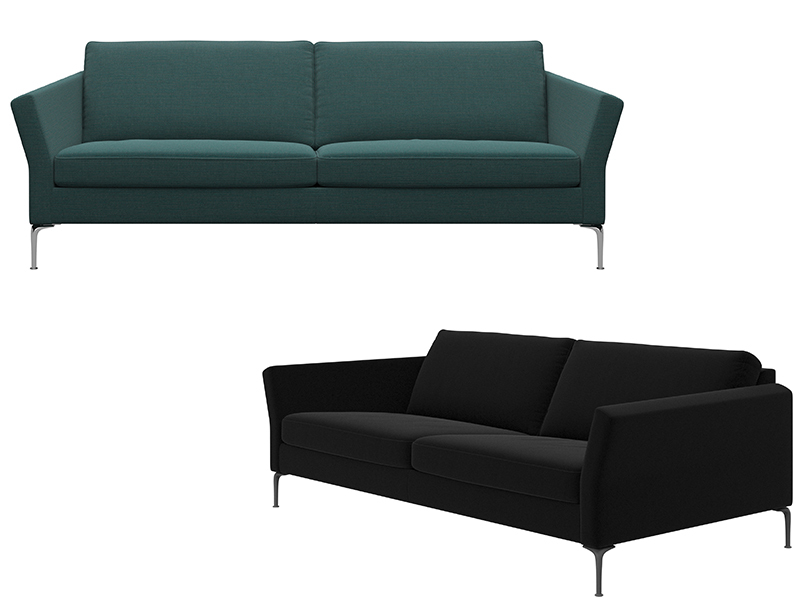 The Marseille sofa comes as fixed 2.5 seater and a 3 seater. Both are also available with a chaise lounge unit for extra relaxation. It is available in your choice of over 100 premium leathers and fabrics. The legs come in polished alu, antique brass and matt grey structured to match your sofa design.